Interior Design Color Wheel Color Wheel Co. 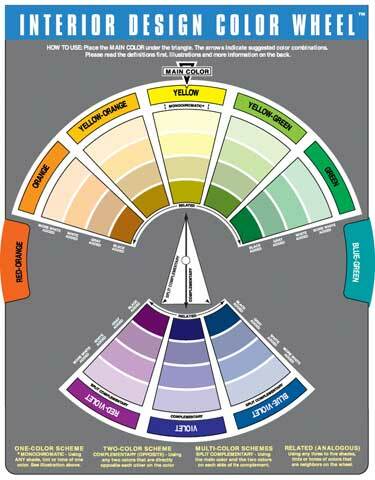 This handy color wheel helps homeowners and amateur interior decorators select colors that work well together. A wide range of color combinations is instantly available with easy-to-follow instructions and illustrations. The wheel can also be used by novices to communicate color ideas to professional interior designers, and can be a helpful tool for purchasing home décor items.